When looking to purchase a new gate for your home and garden it is essential that you fully understand what the sizes refer to as this is the biggest pitfall customers make. We therefore suggest you read the following information that is designed to take the guess work out of the equation therefore reducing the chances of you ordering the incorrect size. Although the selection of metal gate designs vary in appearance, the basic principle for choosing the size required will remain the same regardless of it being a single or a double. What Do the Sizes Refer To? Width – It is essential to understand that metal gates are listed by the gap size into which they will be fitted. This means that when measuring your opening all you need to do is measure the gap size and this will give you your ordering width. It really could not be easier than that. Please do not fall into the trap of thinking that the dimensions refer to the physical width of the gate as you will be mistaken! Within our online store you will also find a number designs that appear to have a size that will fit a variety of openings. For example, the Verona metal garden gate is available in widths of 850mm-920mm or 920mm – 990mm. What this means is that so long as your opening is in between these sizes, then it will suit your requirements. What Do the Heights Refer To? Regardless of whether you need a single or double gates, the heights listed will fall into 2 distinct categories. Physical Height – Where you see this within the product details it refers to the actual height of the gate itself and does not allow for any ground clearances. In these instances we normally recommend a 2” (50mm clearance at the bottom therefore a 914mm gate will become 964mm high once fitted). Fitted Height – This is the height of the gate once installed with a 2” (50mm) gap at the bottom. The physical height will be approx 50mm shorter than this. In comparison to the above designs, all our wooden gates are ordered by the physical width and height of the product. 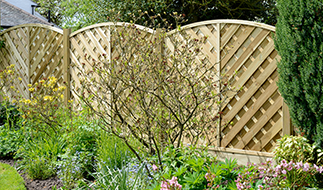 Width – The sizes of the single wooden garden gates are shown as the physical width. We have made no allowance for the space required for the posts, hinges and opening tolerances. Double wooden gates refer to the physical width of 2 leafs placed side by side. Again as with the single designs, you will need to make an allowance for the hinges etc. Height – This refers to the total height of the gate panel and does not make any allowance for ground clearances. When fitted, you should have a gap at the bottom of approx 50mm (2”) to allow for ground clearance. This can however be raised or lowered to suit depending upon the ground conditions and your preferences. 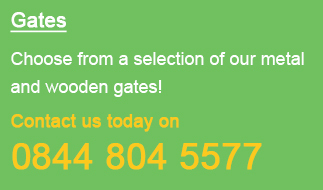 Now you are aware of the key differences in ordering, you can view the rest of our website to find the perfect style to match your property or if you are still unsure as to your size requirements please contact Garden Gates Direct by phone or email and we will be pleased to offer any assistance that may be required.